SKU: Fineline Savvi Serve 409-Y 9 oz. 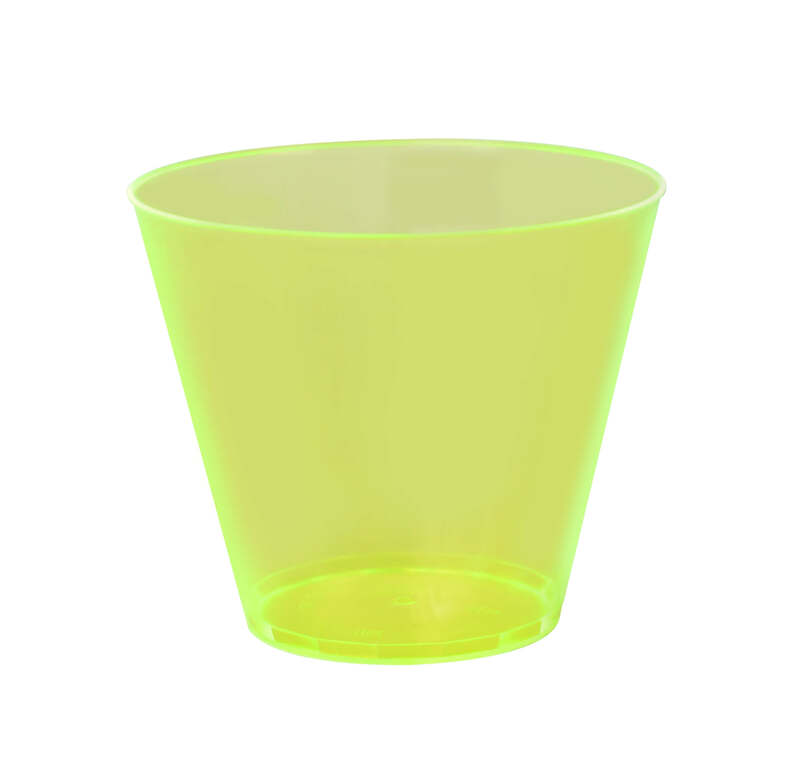 Squat Neon Yellow Hard Plastic Tumbler - 500/Case. Categories: FINELINE, PLASTIC CUPS / LIDS, TUMBLERS/ FLUTES/ GOBLETS/ SHOTS/ WINE GLASSES / MINI CUPS. Make a beautiful place setting with these Fineline Savvi Serve 409-Y 9 oz. Squat Neon Yellow Hard Plastic Tumbler! Your wedding, cocktail party or catered event won’t be the same. These are great not only for drinks and ice, but also to create an upscale appearance for your favorite mousse, smoothie or fruit shake!